Find useful resources to help you learn and teach our software like a boss! Now you can get the best video tutorials for every Reallusion application. Don't waste time going through all the Online Help, simply watch our focused, short video tutorials in the classroom and start animating! Reallusion has gone to great lengths to find the best school-safe video sharing sites on the Internet. No longer do you have to worry about inappropriate content on the Web, let us do that for you! Teachers and Students can start uploading their own school videos to share with the World. Visit the video sharing websites below, and find great ideas on how to use CrazyTalk or iClone in the classroom. You may visit our branded channels regularly to keep up-to-date on animation event news, special promotions and prizes! 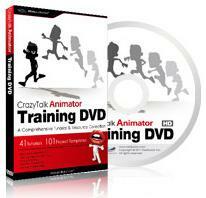 The official Reallusion Training DVDs have everything you need to master CrazyTalk Animator. Learn how to turn images into characters, animate special creatures and manage the timeline in a couple of hours. Don't waste time, and quickly have your students direct props and scenes with over 3.5 hours of effective on topic training. Get exclusive hints & tips, with sample projects and templates in a practical, learn-as-you-go package! The Reallusion lesson plans are designed to help educators teach animation in the classroom. 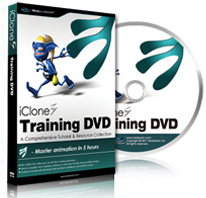 With the help of user friendly interfaces, smart animation tools and extensive content resources, Reallusion has become one of the most popular animation tools for beginners that wish to enter the world of animation. These tools may be used in any kind of subject for a complete, rich media experience.